“Mexican ruling party candidate José Antonio Meade conceded the presidential election on Sunday, saying his rival, leftist Andrés Manuel López Obrador, bore the responsibility of the next government and wishing him well. 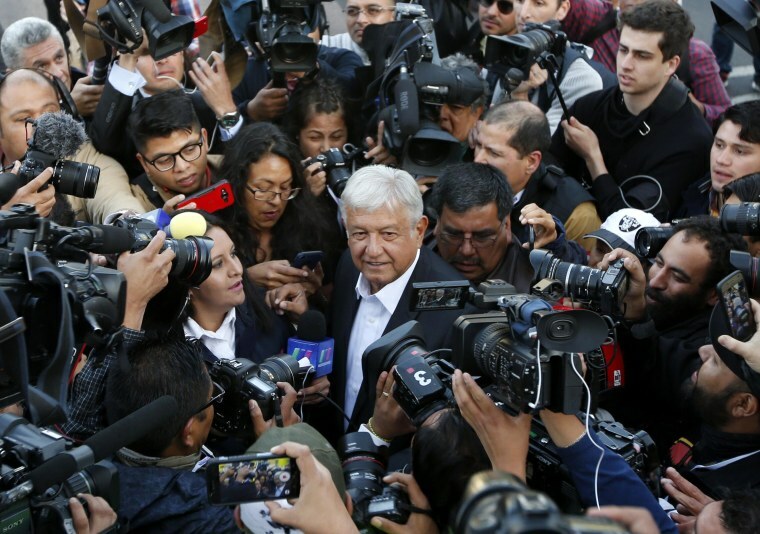 An exit poll by Parametria showed López Obrador, a former mayor of Mexico City, winning 53 percent to 59 percent of the vote, far ahead of his two main rivals from Mexico’s traditional ruling parties. López Obrador, 64, is expected to move Mexico in a more nationalist direction, exacerbate tensions with U.S. President Donald Trump and unsettle some investors. He would be the first leftist president in decades in Mexico, and he has pledged to reduce the country’s economic dependence on the United States. The current government has sparred with Trump over trade and migration for months. The results would represent a resounding defeat for outgoing President Enrique Peña Nieto’s ruling centrist Institutional Revolutionary Party, or PRI. The PRI has ruled Mexico for all but 12 of the last 89 years. López Obrador, the runner-up in the 2006 and 2012 elections, pitched himself as the only candidate able to clean up the government after years of poor economic growth and rampant gang violence eroded faith in the political class. Seeking support from economic nationalists, leftist liberals and social conservatives, López Obrador has been vague on policy details. But he vows to reduce inequality, improve pay and welfare spending and run a tight budget.